In February 2016, Johnson’s software development manager, Joe Mahari, jumped on board the Smart Home beta program. In just four weeks’ time—and by the time Amazon officially launched the Smart Home Skill API—Mahari’s team had built and tested its Sensi Smart Home skill and passed certification. the device owner’s authentication information. It then sends the directive to the methods implemented in the Sensi skill. So, if working with Amazon’s support and the API itself went so smoothly, what were some challenges the Emerson team faced over the four-week project? That kind of testing support helped Mahari identify and resolve a couple of issues and easily go back and retest, ensuring Emerson’s skill would be able to handle thousands of devices. The certification tests were still being refined during the Smart Home beta phase so “we didn’t make it over the goal line the first time,” Johnson said. The second time, they passed by understanding the pass-fail nature of the guidelines. Mahari says most of his team use .NET and Visual Studio. Since a lot of the integration is Lambda AWS, they also use node.js. “We all have node.js installed on our machines so we can test our Lambda functions,” he says. What would Emerson do differently? They say when in doubt about a use case, ask the users before implementing it. “As an early technology partner, we made some implementation choices in raising or lowering the temperature set point. Using our existing app model, it made perfect sense to raise the set point, say, 2 degrees above the current ambient temperature. But that’s not how users saw it,” says Mahari. It turns out that Alexa users were more aware of current set point, not the ambient temperature. Johnson says Emerson has seen a 20 percent adoption of the Sensi Smart Home skill across new customers since release, but he says the best metrics are the corresponding boosts in product sales and customer satisfaction. Emerson polls its customers frequently about the factors affecting their purchase decisions. 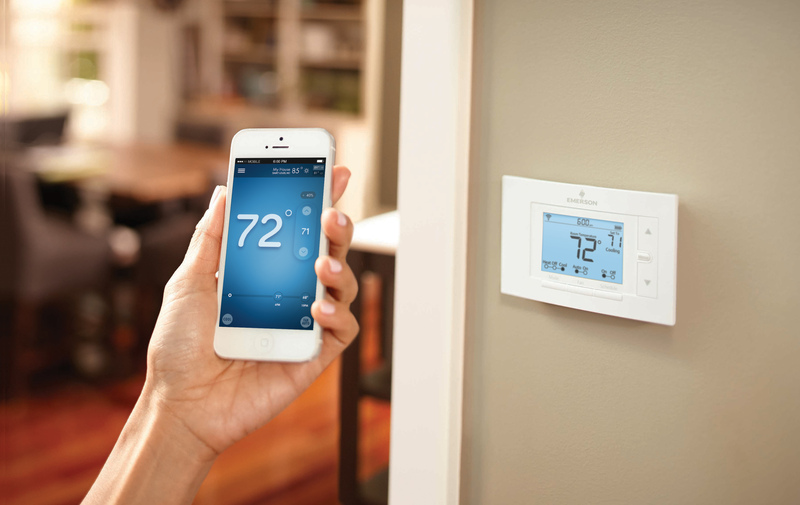 Johnson says the numbers indicating customers see home automation as “important” or “very important” continue to climb month after month.